Help us make Marlow a ‘Dementia Friendly Community’! 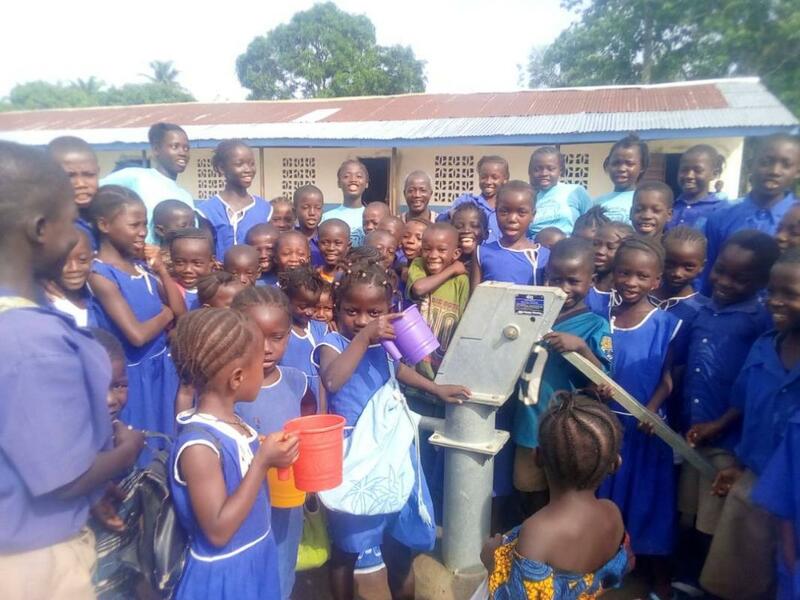 This year Marlow Bridge Rotary Club is joining with the registered charity Build on Books to bring clean safe drinking water to a school in Sierra Leone. Sierra Leone remains one of the world’s poorest countries after a brutal 11-year civil war, and Ebola epidemic and a recent mudslide. Many children go without meals and have no access to clean safe water to drink. The children at IYBAS primary school in Whitestone are at constant risk of typhoid and other waterborne diseases due to a lack of clean water in their school and community. Currently, the only source of water is a small stream which runs downhill passing through other communities, who also use it for drinking and washing. During the rainy season, animal excrement is washed in; during the dry season, the stream almost disappears. This stream water is used for drinking and hand washing at the school as there is no other safe water source for them in the community. 200 children live with the constant threat of contracting typhoid & other deadly waterborne diseases. MBRC & Build on Books will work with the community and engineers to drill a deep borehole through the soil and rock to the ample pristine water lying deep below ground. Once the pump and concrete apron are installed the children will always have plenty of fresh clean and safe water to drink at school. 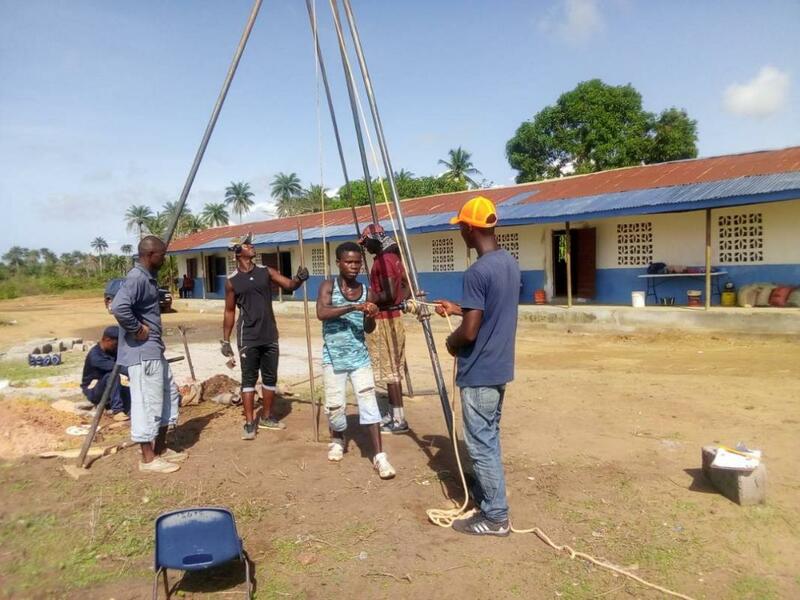 Build on Books will work with the school community and local borehole engineers to drill a borehole in the school compound as we have done for many other schools. The borehole will be constructed to the highest standards to ensure that we reach the pristine groundwater. The hole will then be lined with a 4” casing test for water quality and then sealed to ensure that it never becomes contaminated. An India Mark II hand pump will be fitted as they are hard wearing, long lasting and easily maintained. This borehole will give children access to safe, clean water for many years to come. This will improve their health and ability to learn and prevent many of the unnecessary deaths and illnesses caused by waterborne diseases and flukes that are common in Sierra Leone. The cost of breaking through granite, drilling, casing, concrete apron, water testing and installing an India Mark II pump £4,900 - £5000 depending on exchange rates. Marlow Bridge Rotary Club held a book sale and is holding a quiz night and a tombola to raise funds. We are also calling on all Rotary Clubs to please help us reach our goal as soon as possible to ensure that the children of Whitestone can attend school safely. Headteacher Sarah George built IYBAS with the help of the Whitestone Community and Build on Books. Build on Books is currently paying for teacher training and has provided the school with books and furniture. The school receives no government funding and relies on help from the community who themselves are living at subsistence level, the cost of building a borehole is well beyond their reach. Build on Books has built 10 boreholes in Sierra Leone as well as many classrooms, toilets and farms. We have also put three-quarters of a million books in more than 200 schools. We are grateful for a great deal of Rotary support over the years.